THE BAY The Series Press: THE BAY The Series Wins the Emmy for Outstanding New Approaches - Drama Series! THE BAY The Series Wins the Emmy for Outstanding New Approaches - Drama Series! Congratulations to THE BAY The Series, winner of the Daytime Emmy for Outstanding New Approaches Drama Series! The Daytime Emmy Creative Arts ceremony, an event that honors those who work behind the scenes, took place Friday, April 24, 2015 at the Universal Hilton Hotel. The event was hosted by Florence Henderson and Alex Trebek. 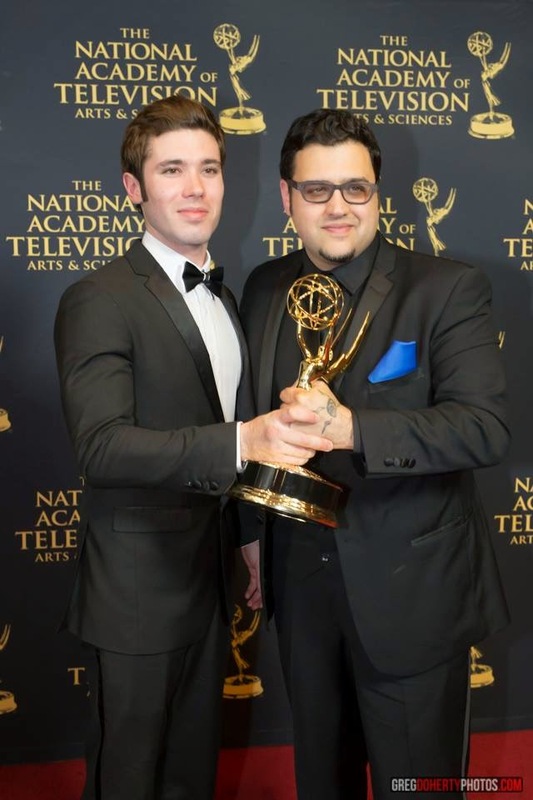 Pictured holding the prestigious award are executive producer, creator, writer, and director of THE BAY The Series Gregori J. Martin with actor and executive producer Kristos Andrews.